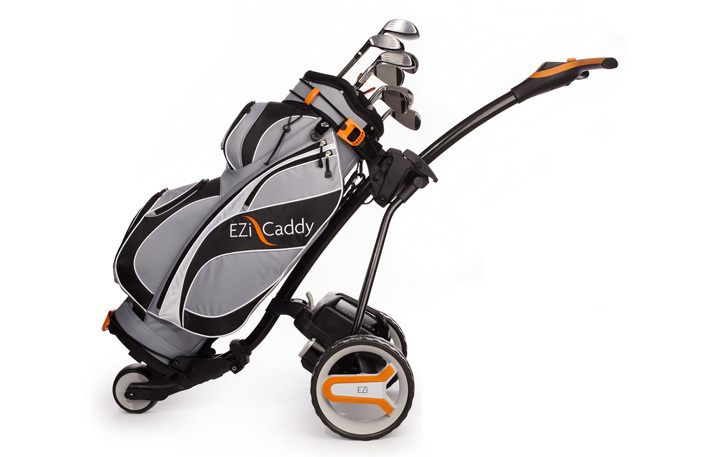 The EziCaddy powered golf trolleys are a great example of Hyphen's innovation process, driven by user experience and ergonomics. The EziCaddy trolleys feature a unique battery loading system to make the loading and unloading of the heavy lead acid battery of the standard product as easy as possible. Rapid golf bag attachment system.